Verde and city Bureau of Planning and Sustainability score money to support a community energy plan for low-income residents of Northeast Portland neighborhood. Verde, a Portland environmental nonprofit based in the Cully neighborhood, will provide several dozen low-income residents with energy-saving ductless heat pumps, thanks to a $150,000 grant from the Funders Network's Partners for Places program. The money includes matching funds from the Meyer Memorial Trust. Verde, teaming with the city Bureau of Planning and Sustainability, was one of six recipients of sustainability grants from the Florida-based program. "We're going to implement the state's first-ever community energy plan that's focused on needs of low-income people and people of color specifically, in the Cully neighborhood," said Tony DeFalco, Verde executive director. The idea to pay for ductless heat pumps arose from a two-year process of dialogue with residents to prepare a community-based energy plan, DeFalco said. Ductless heat pumps are expected to bring sharply lower heating bills to residents, many of whom are using baseboard electric heating. That will bolster their financial wellbeing and lower carbon emissions. Some of the beneficiaries also will get help with weatherizing and insulating their homes, to maximize the energy-saving benefits. The goal is to provide 50 to 60 ductless heat pumps, DeFalco said. In addition, the project will help fund installation of a solar panel array atop a new community center/laundry at the Oak Leaf Mobile Home Park in Cully, now being redeveloped by St. Vincent de Paul of Lane County. 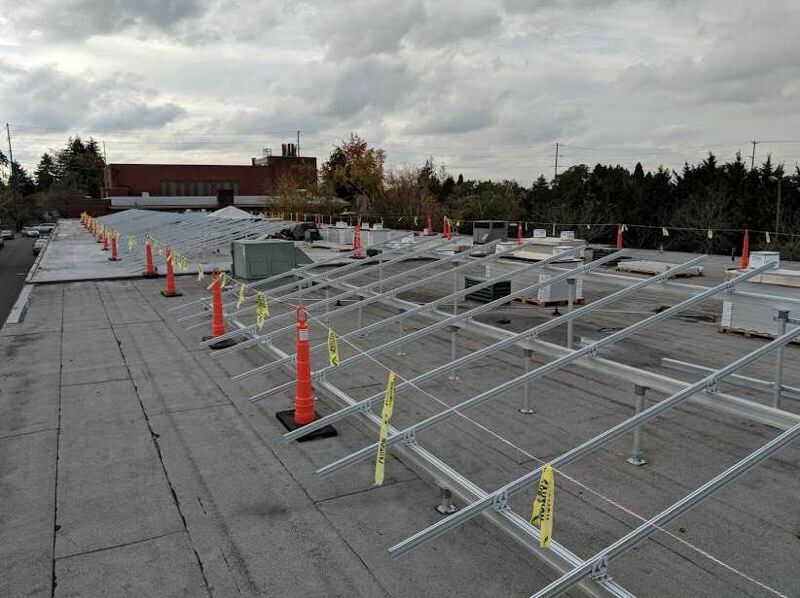 Project planners hope to include a way to store surplus solar energy on site, DeFalco said.